Sincere question. (I’ve been wanting to ask this of someone wiser than I for quite some time. Someone who wouldn’t skewer me for asking.) Where is the line? America can not take in every single Syrian refugee (in addition to all the refugees from other war-torn countries). 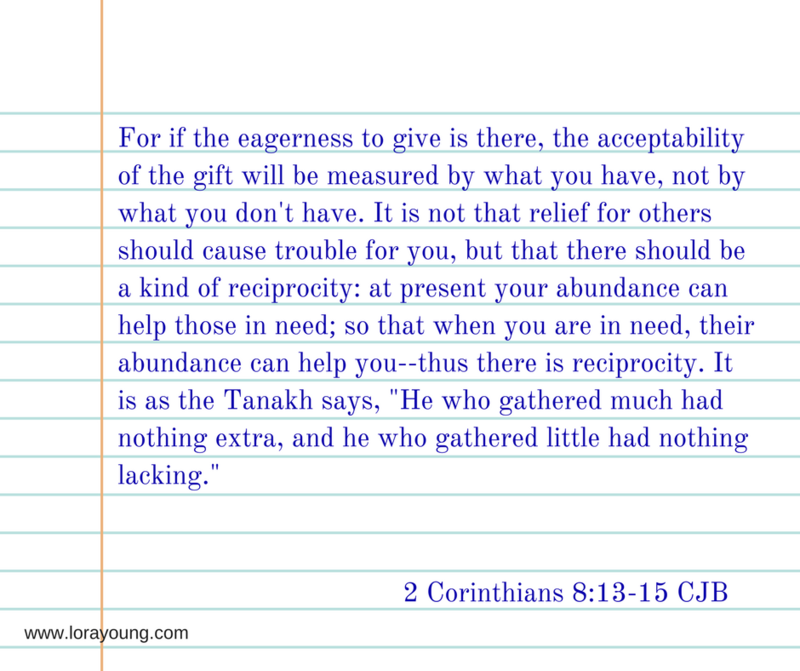 There is a thought in Judaism that says we should give the 10% tithe and to help the poor and oppressed above and beyond that, but not to give more than 20% lest we impoverish ourselves and become dependent on others instead of being able to help. Isn’t America to that point (and perhaps beyond) now? Is it not wisdom to make sure the people who are asking to come in as refugees are *actually* refugees? Is there not another way to help these people than for the government to do it? Is there not a way for the Body of Messiah to help them in their own region? Shortly after that, I ran across a post by Samaritan’s Purse asking for donations and volunteers to work with those fleeing ISIS in Northern Iraq. My husband and I both believed that was the leading of the Holy Spirit and donated. I so wish I had the medical skills they needed in their volunteers. I’d go in a heartbeat. So the question that’s been rattling around in my brain recently (actually, for years, but that’s beside the point) is, why is it that those in the Church seem so willing to let the government obey God for us? When Jesus said to feed the poor and help the oppressed, he wasn’t taking to the Roman government. He was talking to his followers. Isn’t that what the Church is? How can the Church afford to build huge campuses, buy state-of-the-art technology, and hold massive conferences to make people feel better about themselves, but we can’t seem to feed the poor and help the oppressed? If we had made it a habit to take care of the poor and oppressed in our own communities, it wouldn’t be much of a stretch to extend that help to those in need around the world. But we haven’t. Instead we turn a blind eye, or worse, yell at the government to “do something!” Well, it isn’t the government’s job to do something. It’s the Church’s job. It’s Samaritan’s Purse’s job. My job. Your job. This entry was posted in Abdicating the Throne and tagged responsibility, Syrian refugees, The Church. Oh bless you, Lora, for voicing what has been on my heart for years. Vetting is so necessary today. I believe it is what can help keep us safe. I totally agree about the churches failure to step up causing the government to crash in. May we ALL open our eyes and hearts in obedience to God’s commands to care for the least of these! I said in a note many years ago to my [then] husband, “I’m so worried about not hurting your feelings that I’m crushing my own.” or something to that effect. of course, I never gave him the note. That’s not healthy behavior, as an individual or corporately. Father says his seed is not to beg for bread and yet that’s exactly how I have felt many times, that i was begging, having to go from one agency to another. That’s exactly what I’m talking about, Robin. Why would they send you to a government agency? Is *that* being the hands and feet of Jesus? Is that “whenever you did it to the least of these”? No, it isn’t. Thank God for that one church. May He bless them many times over! Nicely written Lora! I do agree. I feel bad at times that our son needs help from our government. He’s on disability. But I praise God for the help our government can give at times also. Wish we as the Body of Christ could be the hands and feet of our Lord Jesus Christ, with all the power that’s available through the Holy Spirit. Thank you for sharing! Thanks for commenting, Carol. You shouldn’t feel bad that your son gets the available help from the government. Until the Church steps up, what else does he have? Now that the “genie is out of the bottle,” how do we get it back in? I don’t have answers for how the Church can move in, take over, and (hopefully) improve these programs except to do what we can in our own local communities and churches. Throwing the government into a humanitarian situation to fix it is almost doomed to fail. Yeah, cuz the government makes everything better, right? Hahaha! No! Not right. Thanks for commenting, Onisha. Well said and I totally agree.